Leah Markowitz is the Project Manager for the Pathways to Prosperity Customs and Border-Management Reform Project and Panama Desk Officer in the Market Access and Compliance division within the International Trade Administration (ITA). From the viewpoint of the U.S. business community, long customs-clearance times, inconsistent interpretation of customs regulations, and subjectivity of customs inspectors are among the issues generating uncertainty when conducting business in Latin America and the Caribbean. Inefficient customs and border-management processes also create fertile grounds for corruption thanks to manual processes, poor communication between borders and capitals, and low-paid staff. Yet companies just want their goods to get across borders and into the hands of users and consumers, quickly and efficiently. Without smooth and efficient customs-clearance processes, companies lose money and consumers lose choices. Meanwhile, customs officials are tasked with multipurpose jobs: to secure borders, enforce health and safety regulations, and collect revenue. In fact, duty collection in developing countries is one of the largest sources of government income – comprising upwards of 50 percent of total revenue in some countries. Customs agents must also, of course, protect their borders from terrorism and illicit trafficking in people and drugs. And finally, customs administrations, in conjunction with other border units such as agriculture and health-related agencies, must also ensure the enforcement of regulatory requirements at the border. One might imagine that the seemingly conflicting intents and goals of these border “stakeholders,” that is, the private sector (business community) and the public sector (government agencies), might lead to a significant gap in perspective on the issues. In Latin America and the Caribbean, this gap is often compounded by insufficient interaction between customs officials and the private sector on customs reform. Historically in the Western Hemisphere, customs administrations and other border regulatory agencies have instituted reforms without consultation or collaboration with the impacted business community. While there is no “one-size-fits-all” reform model, public-private cooperation should be viewed as a foundation of this kind of trade facilitation. The business community and relevant government agencies are both key stakeholders in the development of policy reform. In August 2011, ITA partnered with the U.S. Department of State to establish a customs and border-management project in Central America to work towards solution of customs and border-management inefficiencies. The project, supported by a grant under the State Department’s “Pathways to Prosperity in the Americas” Initiative, focuses on fostering customs-reform dialogues between business and government stakeholders to open lines of communication and promote collaboration and trust within and across borders. To date, ITA has completed training workshops in two of the three participating countries, Honduras (February 2012) and Costa Rica (March 2012); the workshop in El Salvador will take place July 16-17, 2012. The workshops provide basic border-management training to public- and private-sector participants on select technical topics (e.g. trusted trader programs, automated systems, risk management), and, perhaps more importantly, help to establish a mechanism in which the government and business communities can discuss and come to a consensus on targeted border-management reform efforts. Once the workshop in each country is completed, the next step of the project is a U.S. site visit. This phase consists of bringing a group of Central American public- and private-sector representatives to visit ports in the United States. The site visit allows participants to observe best practices of U.S. border management agencies (for example, Customs and Border Protection, Department of Agriculture, Food and Drug Administration), and helps promote a fuller understanding of how to facilitate trade with the United States under the U.S.-Dominican Republic-Central America Free Trade Agreement (CAFTA-DR). 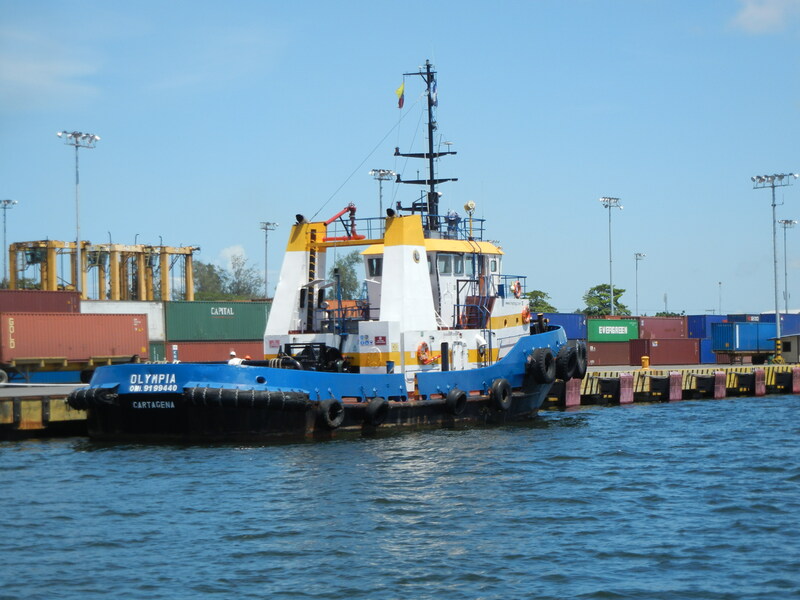 ITA recently led members of the Honduran delegation to visit the ports of Mobile, Alabama and Gulfport, Mississippi. Throughout the visit, Honduran business and government leaders discussed with their U.S. counterparts ways to strengthen Honduran customs and border-management policies, based in part, on the U.S. model. This public-private partnership continued after the close of the trip, and today, the Honduran business and government participants are actively engaging with each other as they had not done previously, working to streamline the processing of imports and exports in Honduras. Similar visits to U.S. ports are being planned for delegations from Costa Rica and El Salvador in coming months. In the last component of the project, representatives from each of the three participating countries will travel to Chile for a final conference. During this time, participants will see firsthand border-management operations in ports outside the United States, while also sharing learning experiences and success stories from their own countries. By engaging governments and businesses in this partnership and dialogue countries will learn and develop their own best practices for border-management and customs, and build a greater legacy of trust among all parties at the border. By working towards improving time-consuming customs processes and improving transparency, efficient goods clearance at our partners’ borders will create better market access for U.S. exports to the region.